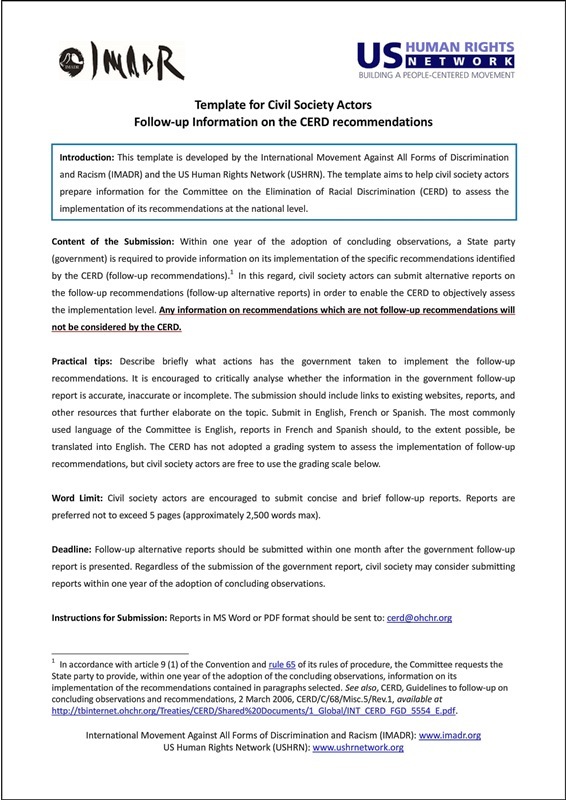 IMADR and the US Human Rights Network (USHRN) developed a template which aims to help civil society actors prepare information for the Committee on the Elimination of Racial Discrimination (CERD) to assess the implementation of its follow-up recommendations at the national level. Download and use the template to share your assessment with the CERD. Spanish version will be soon available. *12th December: Italian version became also available! **2nd February, Spanish version is now available!